China plans to launch a new human-rated space laboratory as soon as July and send two astronauts to visit the mini-space station by end of the year, officials said Sunday. 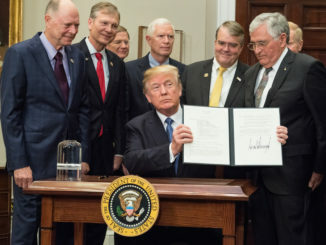 The piloted flight will be China’s first time to send astronauts into orbit since 2013, and the launch of the Tiangong 2 space lab — expected between July and September — will propel China closer to building a large space station by around 2020, according to the China Manned Space Engineering Office. The orbiting research complex, consisting of three 20-metric ton modules, should be in service by 2022, the state-run Xinhua news agency reported. The Tiangong 2 space lab set for liftoff this year will follow China’s first human-rated research module launched in 2011. 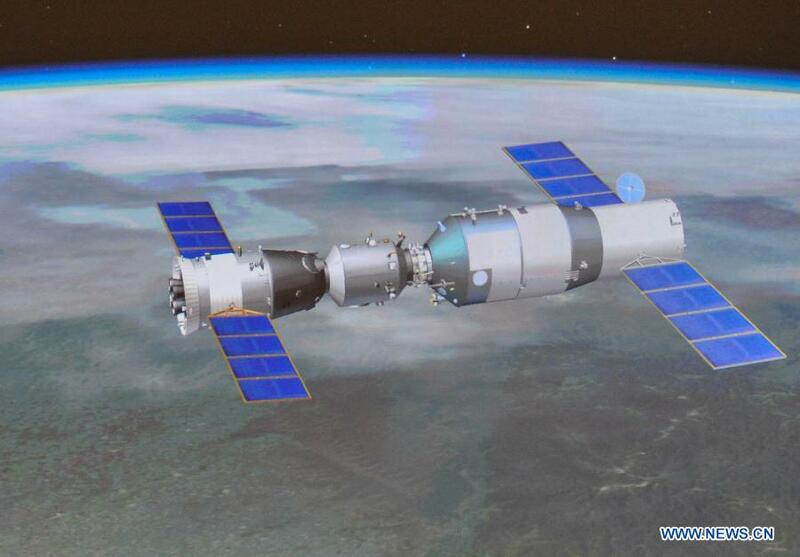 The Tiangong 1 spacecraft hosted three visits by China’s Shenzhou crew capsule. 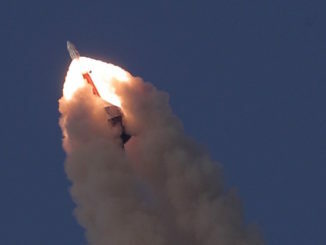 Two of those Shenzhou missions carried astronauts in 2012 and 2013, setting records for piloted Chinese spaceflights with durations of nearly 13 days and nearly 15 days, respectively. Like the Tiangong 1 space lab, China’s next research station in orbit will blast off aboard a Long March 2F rocket from the Jiuquan space center, a facility in northwest China’s Gobi Desert, officials with China’s military-run human spaceflight program said. Preparations for Tiangong 2’s launch are on schedule, the China Manned Space Engineering Office said in a Feb. 28 statement. Two astronauts will ride a Long March 2F rocket into orbit between October and December on the Shenzhou 11 mission. 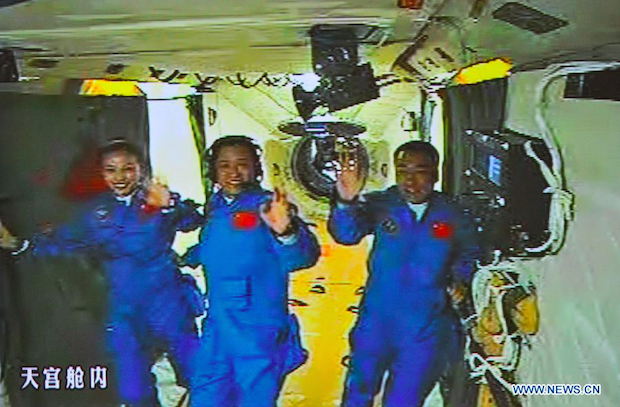 The crew will dock with Tiangong 2 for a “medium-duration” stay aboard the research module to conduct experiments, officials said. The astronauts are already in training, officials said, but their identities have not been announced. The inaugural flight of a new automated cargo ship will reach the Tiangong 2 laboratory in the first half of 2017 to demonstrate the capability to resupply China’s future space station. The cargo craft, named Tianzhou 1, has a similar mission to the International Space Station’s Progress, Cygnus, Dragon and HTV supply ships. The Tiangong 2, Shenzhou 11 and Tianzhou 1 spacecraft and their launch vehicles are being assembled or undergoing tests, Chinese officials said. The resupply capsule will launch on China’s new Long March 7 rocket from the Wenchang space center, which is under construction on Hainan Island. 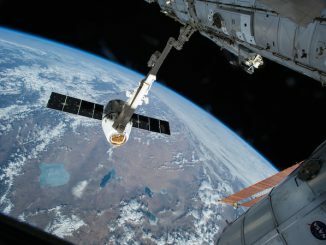 Chinese officials have not said if the Tianzhou cargo mission will arrive at the space lab before or after the departure of the Shenzhou 11 astronauts. Tiangong 2’s purpose is to verify China’s ability to transport goods into orbit for space crews, transfer propellants to refuel space station modules, and conduct “large-scale” science experiments, the human spaceflight office said in a statement. One experiment aboard the Tiangong 2 space lab will be a detector developed by Chinese, Swiss and Polish scientists designed to study gamma ray bursts, the most powerful explosions in the universe. China has not disclosed how Tiangong 2 will differ from Tiangong 1, which weighed nearly 19,000 pounds — 8.5 metric tons — and measured the size of a bus. The lift capacity of the Long March 2F rocket will keep the module’s size around the same as its predecessor. Much larger space station modules will launch on China’s new class of Long March 5 rockets for assembly in orbit between 2020 and 2022, forming a complex almost as big as Russia’s Mir space station.